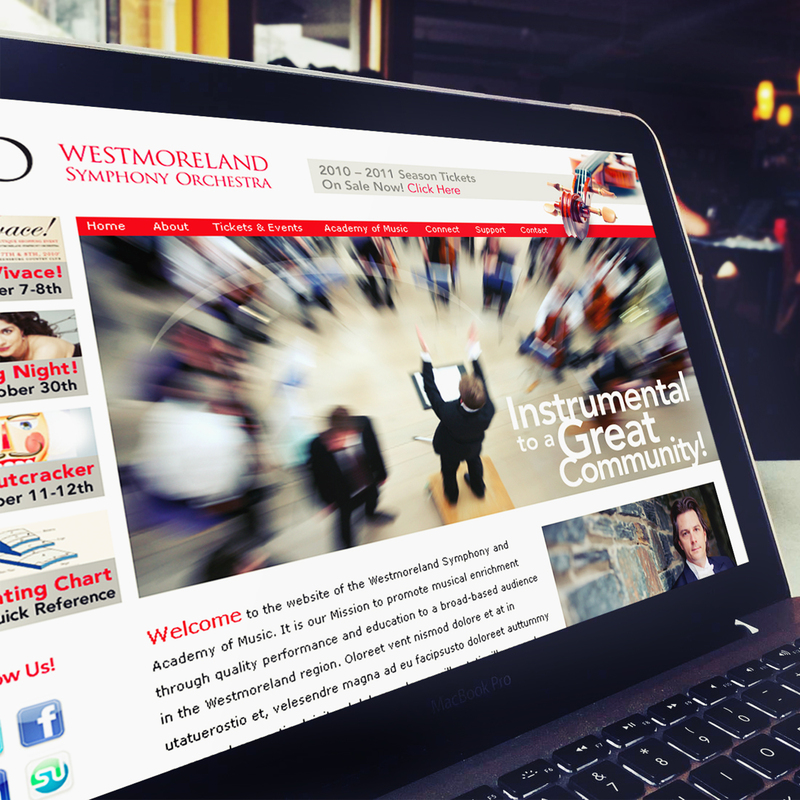 For 50 years, the Westmoreland Symphony Orchestra has been offering musical performances of the highest caliber, becoming an integral part of the community’s cultural life in the process. 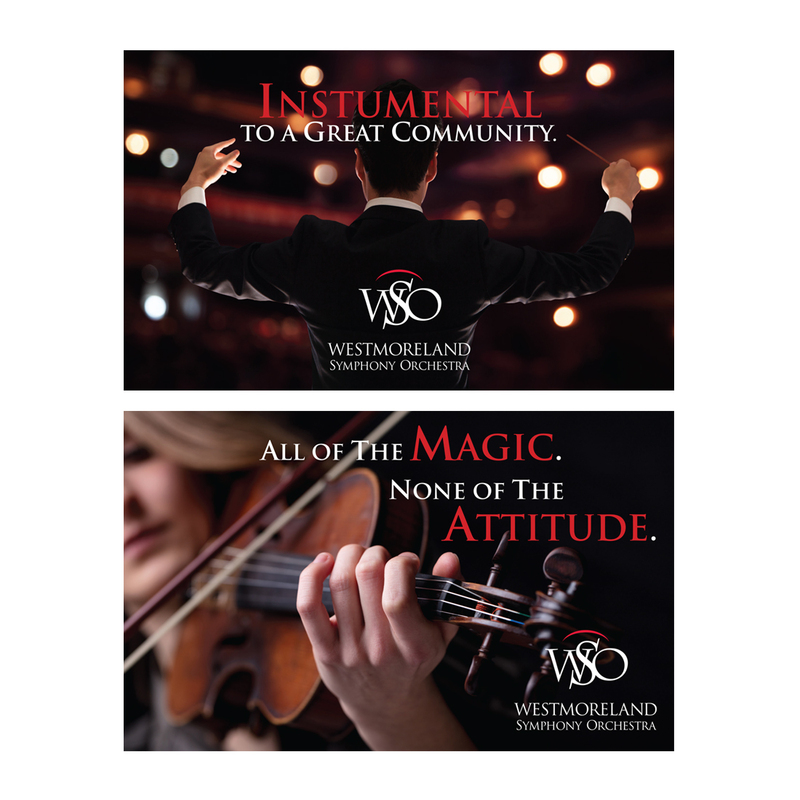 The orchestra provides an ambitious series of classical and pops programs annually, all presented in Greensburg’s majestic Palace Theater. 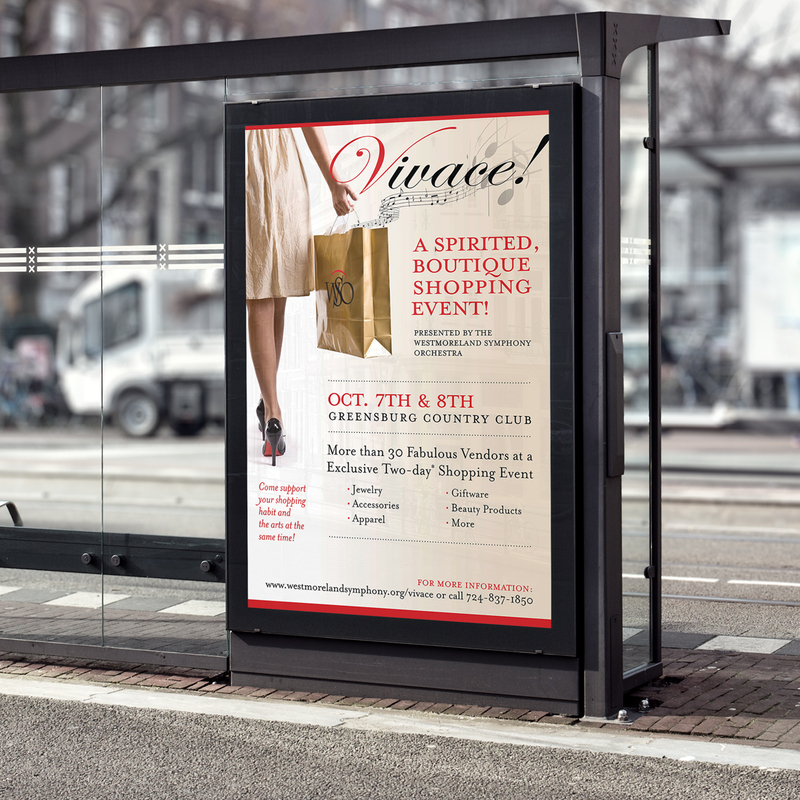 In an effort to help make their image more appealing to a more broad-based regional audience, BOOM was engaged to update their overall branding and marketing efforts. 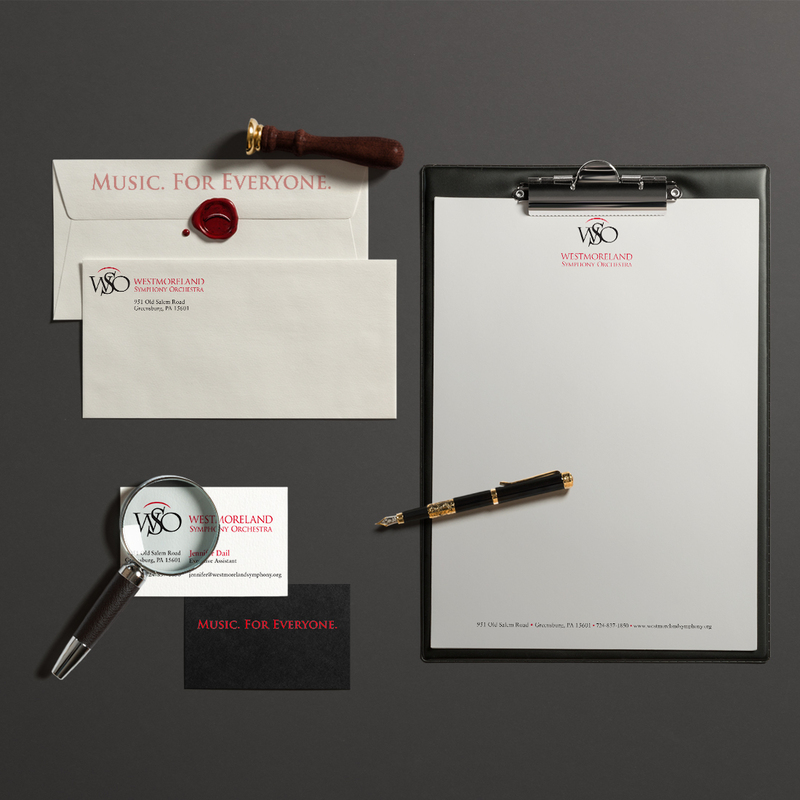 A contemporary yet still classical new logo was developed, referencing both musical notation and community alliance. 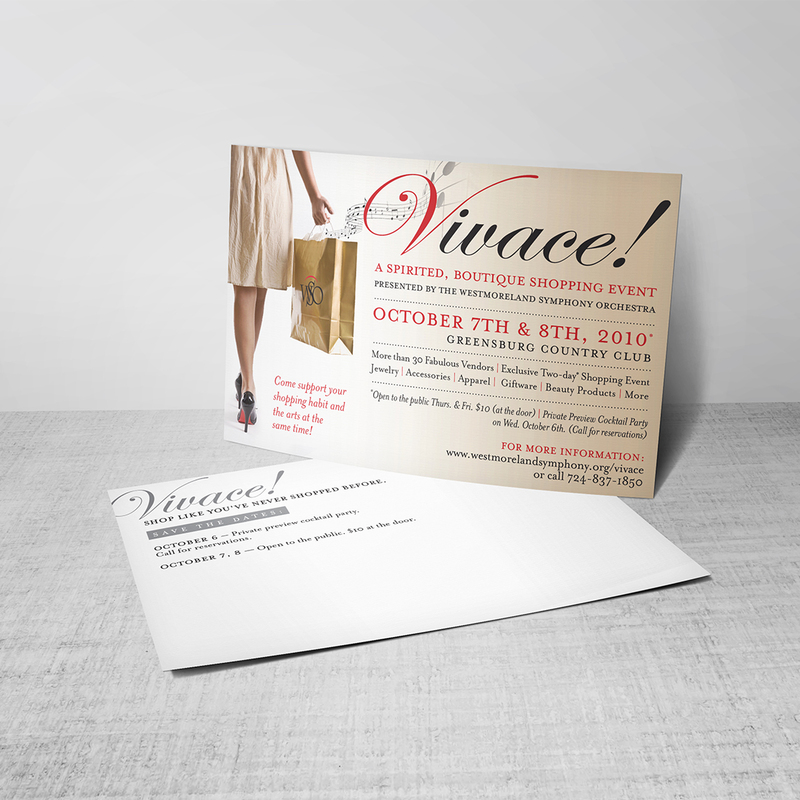 This powerful new mark was then applied to a wide assortment of print and digital advertising to promote their upcoming programs. 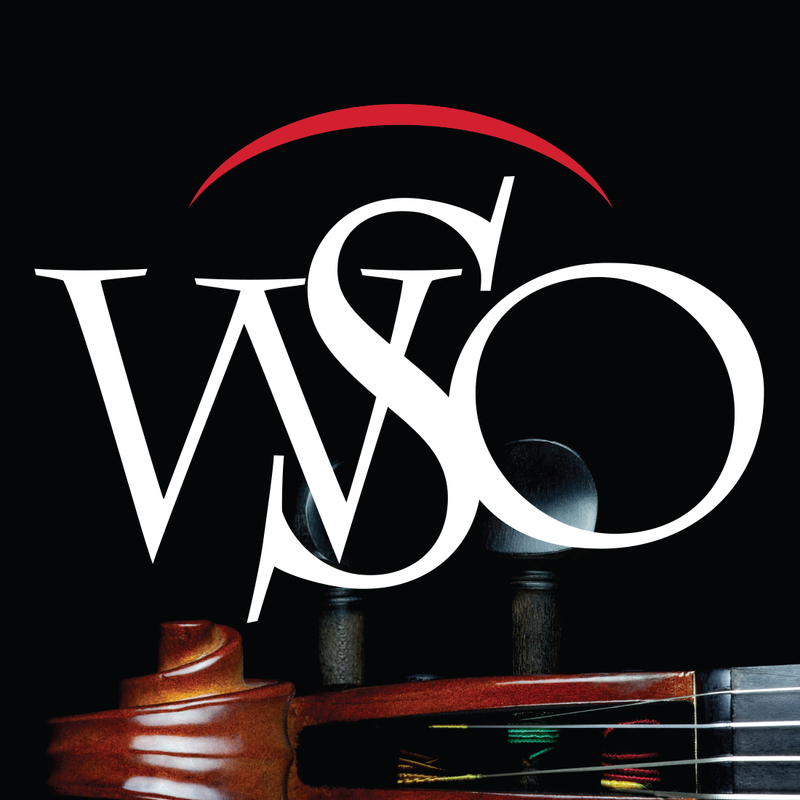 Ticket sales and subscriptions have been steadily on the rise, and a wider cross-section of audience members has been reported, including – for the first time ever – a jump in younger attendees. 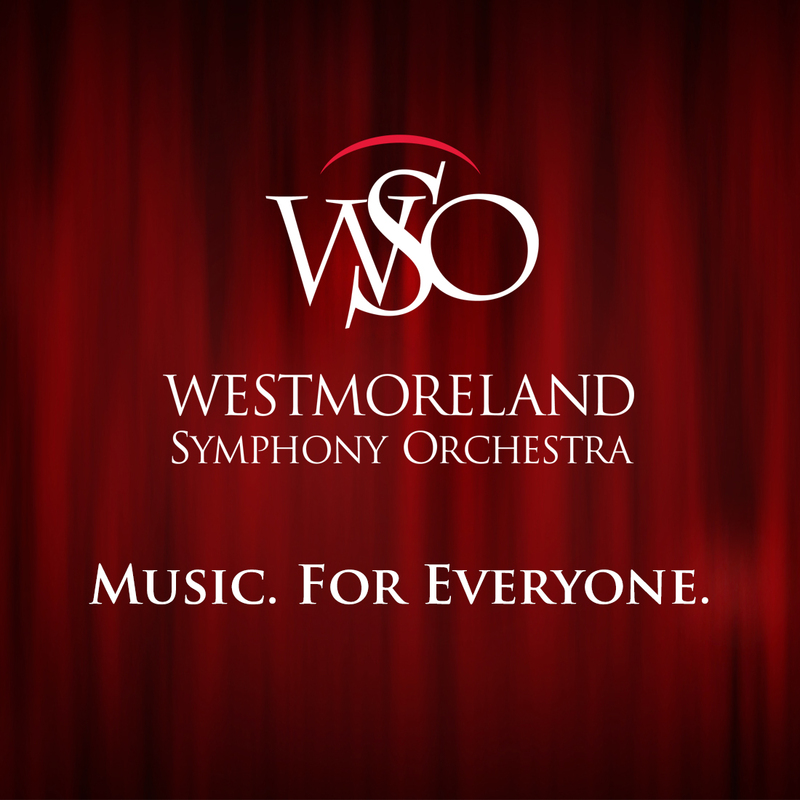 The goal of making the symphony experience accessible to everyone appears to have been well orchestrated in Westmoreland County.